PSG team will be eager to get back to their UCL campaign after their 3:3 victory on aggregate over Chelsea last round. Thiago Silva, the Parisians’ captain and savior in the Round of 16, undoubtedly has the talent and physicality of one of the best centre-backs in all the world, but with David Luiz injured and Verratti suspended in the midfield, Silva will need to put in a top-drawer performance this time out if Paris Saint-Germain hope to travel to Barcelona with a semblance of hope. However, the hosts gave absolutely everything to defeat Chelsea last round, including the eligibility of the suspended duo of Ibrahimovic and Marco Verratti. While they did manage to conquer Barcelona here in the group stages, the visitors have vastly improved since then while the Parisians have found elimination from this stage of the cup in back-to-back seasons. Furthermore, they have only reached the semifinals of the tournament once in their history, and experience at this stage certainly favors the travelers. 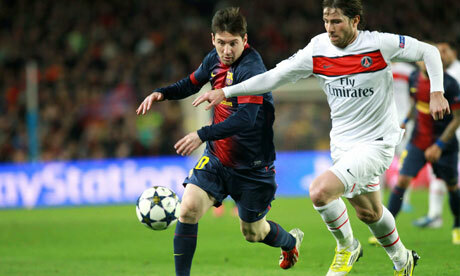 Still, PSG should have enough gusto and grit to eek out a result here, though at the most that is likely to be a draw. FC Barcelona team travel to Paris with a camp full of confidence and experience, and it’s no mystery why they are so heavily favored here despite being on the road. Since their shocking 0:1 defeat to Real Sociedad at the beginning of January, the Catalans have torn through their fixture list with 20 victories in their last 22 matches in all competitions. Furthermore, they are unbeaten in their last 11 competitive road games, and the visitors have managed to win on 10 of those occasions. They were impressive in a 2:1 road win over Manchester City last round and despite the fact that Dani Alves will be suspended on Wednesday, confidence of a positive result will be high here in the Catalan camp. Therefore, with the Parisians missing their best player in Zlatan Ibrahimovic and one of their top defenders in David Luiz, Barcelona are deserved favorites here. However, they also know that anything but defeat would be satisfactory, and their last trip to Paris saw them lose in a thrilling 2:3 encounter. The Blaugrana are admittedly in far better form since then, but Paris Saint-Germain are excellent at home and should have enough to deny Barça the victory. When all is said and done though, the visitors should be able to avoid defeat, at the least.